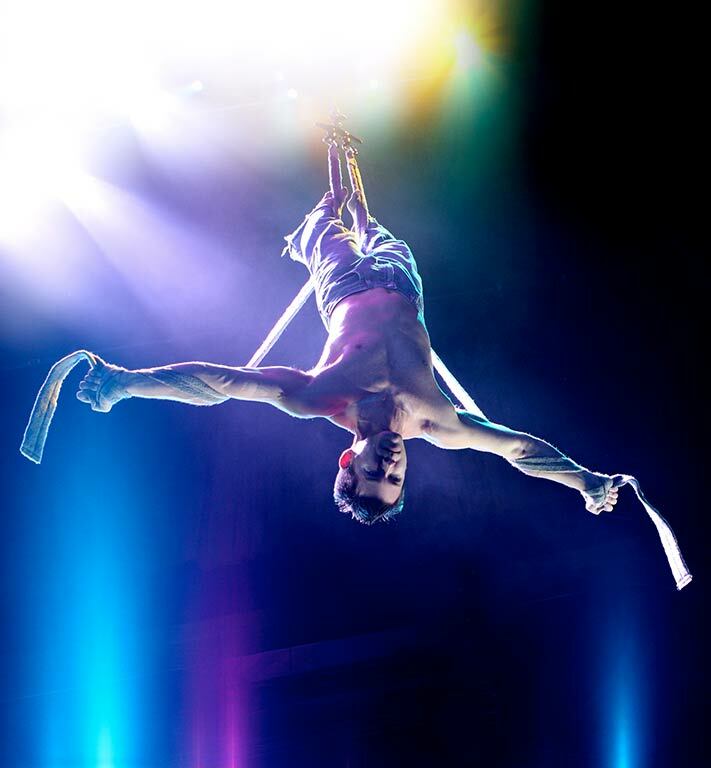 AntiGravity®, America’s premiere aerial and acrobatic company, has been inspiring audiences with their high-flying performances around the world. 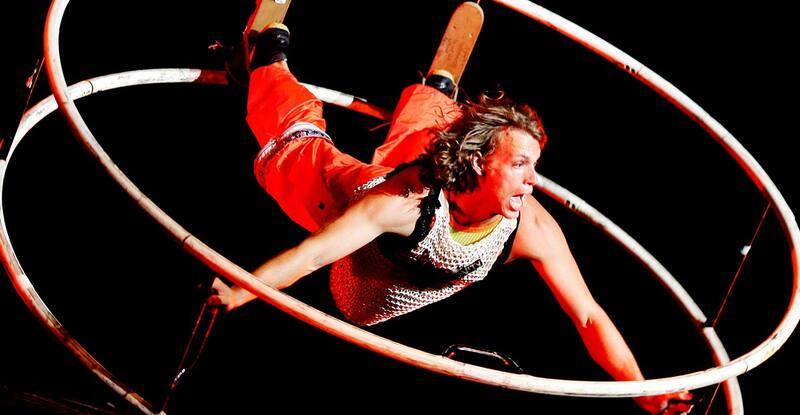 The Team AntiGravity roster includes Olympic and X-Games athletes and movement artists whose talents defy the laws of physics and stretch the limits of human achievement. 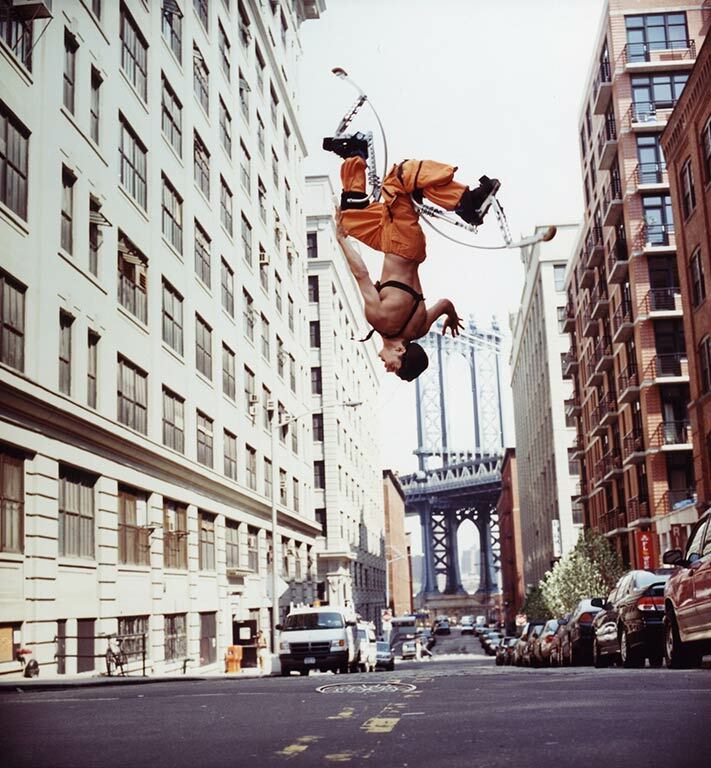 Recognizing unexploited territories for aerial performance within the realm of niche entertainment sectors, Founder Christopher Harrison (Broadway dancer and world-class gymnast) combined his knowledge of cutting-edge acrobatics, popular culture trends, and his passion for merging athletics and aesthetics into fresh choreography. The result? Original content that has serviced Broadway, the Metropolitan Opera, sporting spectaculars, concert tours, corporate markets, luxury and high-end events, the fashion industry, nightclub entertainment and even ice shows. 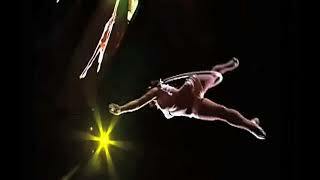 AntiGravity’s performances are powerful and energetic, fusing innovative aerial techniques and daredevil stunts with grace and bravado into their own distinctive choreography. 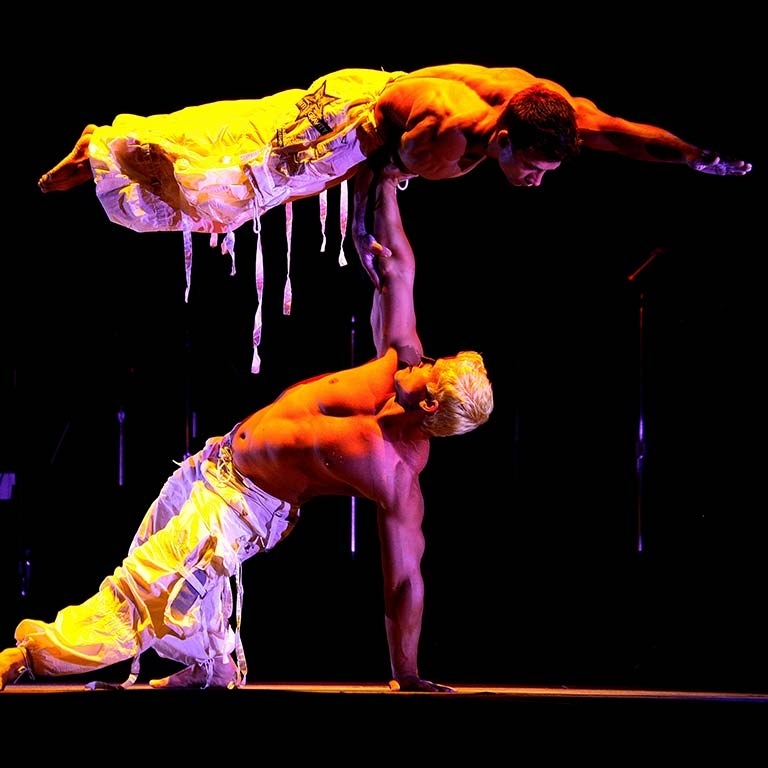 Prolific in their field, they have created over 100 unique acts that have been performed worldwide—many of which use originally designed apparatus. 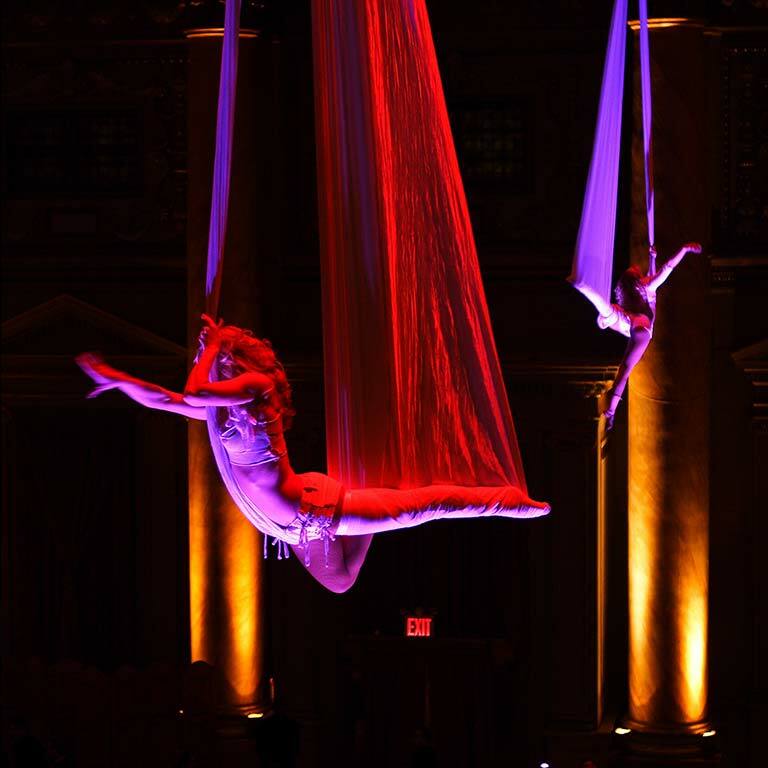 A few signature creations include: AntiGravity® Boots (jumping boots that enable performers to leap and flip up to 15 feet in the air), the Double Trampoline Wall, Bungee Dancing, Aerial Carousel, Silk Hammocks and Aerial Cube. Over the last three decades, AntiGravity has been commissioned to create original pieces by: The White House (Obama Inauguration), The U.S. Olympic Committee, Marc Jacobs, Mariah Carey, P. Diddy, Britney Spears, 50 Cent, Nelly, No Doubt, Richard Branson, George Lucas, Bill Gates, Steve Forbes, Karl Lagerfeld and numerous Fortune 500 companies. 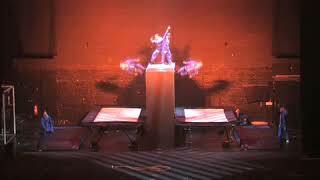 Other monumental achievements include performances at The MTV Video Music Awards at Radio City Music Hall, The Academy Awards, The Grammy Awards and the Opening for the Macy’s Thanksgiving Day Parade TV Broadcast. They have also performed in 24 countries, toured the U.S. and played Off-Broadway with four original full-length productions. 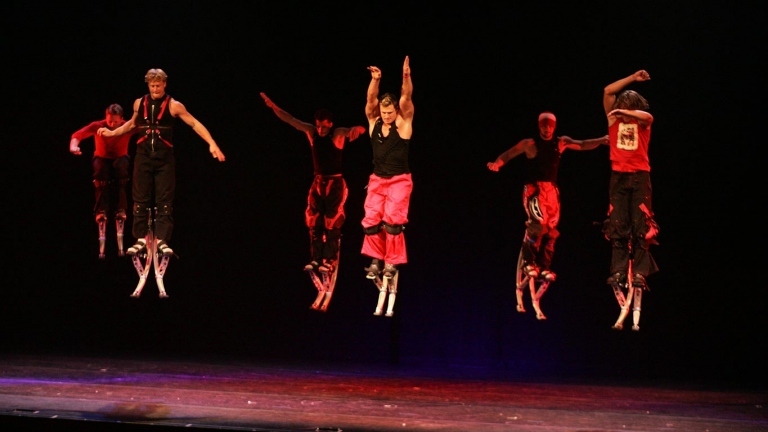 Headquartered in New York City, AntiGravity also maintains an extensive training and rehearsal facility in Orlando with additional divisions in Las Vegas, Toronto, and Los Angeles. 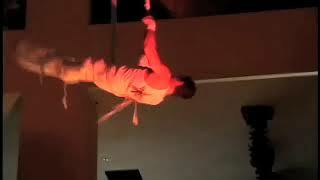 Mr. Harrison’s revolutionary creation, AntiGravity® Yoga is rapidly expanding nationally and internationally. 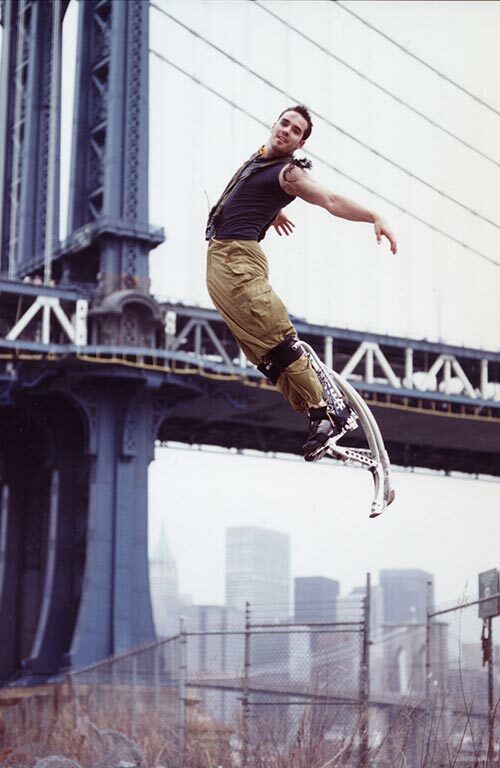 AntiGravity’s credits include performances at the Presidential Inaugural Neighborhood Ball, The Oscars, BET Awards, Victoria’s Secret Fashion Show, Alexander Wang’s: “Fashion Meets Parkour”, MTV Video Music Awards, 45th Annual Grammy Awards, Saturday Night Live, Macy’s Thanksgiving Day Parade, The Late Show with David Letterman, The Today Show, and Good Morning America to name a few. 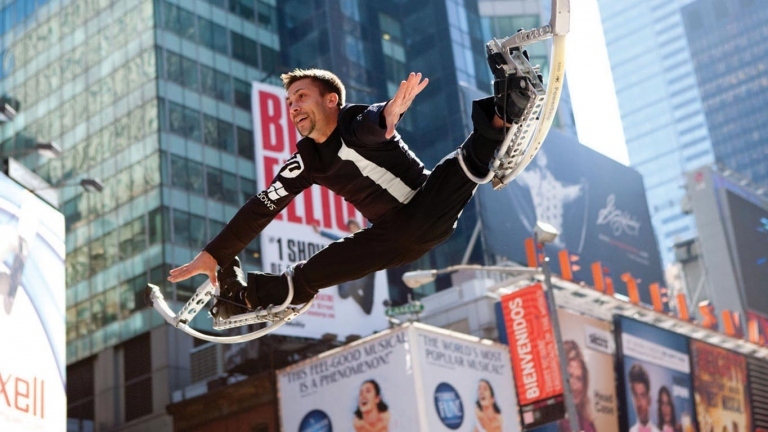 AntiGravity has also participated in the ProBowl, Summer Olympic Games and the Winter Olympic Games, the NBA All-Star Halftime show, and the NFL Denver Broncos Season Opener. Often gaining music industry recognition, AntiGravity has performed with Mariah Carey and Britney Spears, No Doubt and P. Diddy. 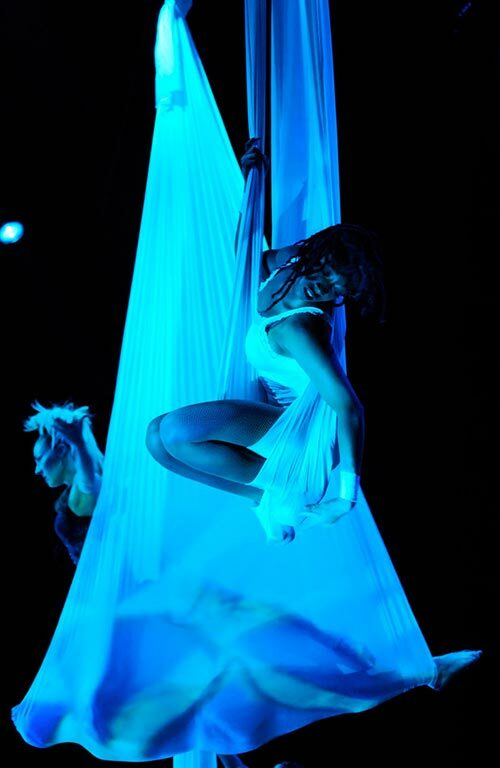 Furthermore, AntiGravity’s theatrical experience includes four original works: “AntiGravity; The Tour” “AntiGravity’s: Crash Test Dummies,” “AntiGravity: An American Band,” and “Circus Diva” an AntiGravity production. Furthermore, AntiGravity lends their physique, beauty and talent to Fashion icons like Marc Jacobs, Chanel, Giorgio Armani, and Mossimo.